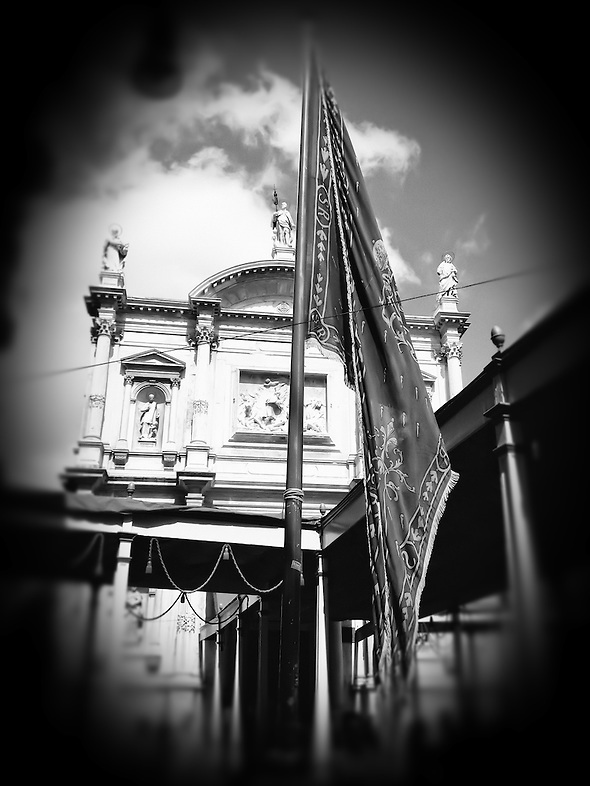 The Confraternity of Saint Roch, founded in 1478 and immediately recognized by the Council of Ten, received the relic of Saint Roch's body in 1485. Between 1517 and 1549, the Confraternity moved to one of the most prominent and captivating buildings in the city, one that preserves the extraordinary, original work of Tintoretto. The Confraternity of Saint Roch, which was made an "Arch brotherhood" in 1789 by Pio VI, has continued its activities without interuption to the present day. I never would have found this thing if I hadn't seen it in a book first...and a colleague in helping me with good directions!! It's very tucked away and even with directions, I had a hard time finding it. "This work has an interesting symbology. The figure brings together in a single symbol two aspects of the Cosmos: the dragon is yang, active principle and divine power; while the serpent is yin, the principle of reproduction and primordial water. The intertwined double spiral represents two directions of one movement: balance and imbalance, birth and death, the initiation of death and the rebirth of new being. The rings thus mark the mid-line between yang and yin, an alternative twofold expansion and the point of balance between two opposing cosmic forces." While on the trail of Canaletto I "discovered" la Pieta' .First foundation was of the fifteenth century but its actual aspect is due to architect Massari who completely rebuilt it in the 1745.The facade has a classical style, with a bas-relief above the main entrance representing the La Carità, a work by the sculptor Marsili (1800). 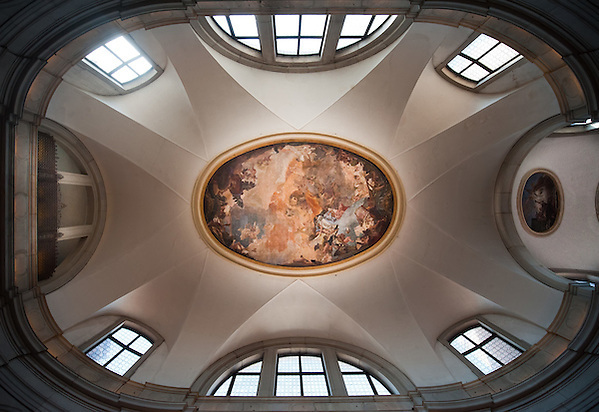 The Church has a egg-shaped plan with a vaulted ceiling; sideways there're two choirs where once were played concerts by the woman whom used to live in the institute that stands from the side.Church has an absolute importance because of the presence of Gian Battista Tiepolo's works, the Fortezza e la Pace on the ceiling of the entry and the Trionfo delle Fede painted on the ceiling of the church, a real masterpiece by Tiepolo representing the crowning of Our Lady by the God's hand. A 14th-century voyage across the North Atlantic; a 16th-century publishing event; and a 21st-century quest are the subjects of a book by Andrea di Robilant, a distinguished scholar of Venetian history. The modern story follows the author’s investigations after stumbling upon an old book in the Biblioteca Marciana in Venice while looking for something else. 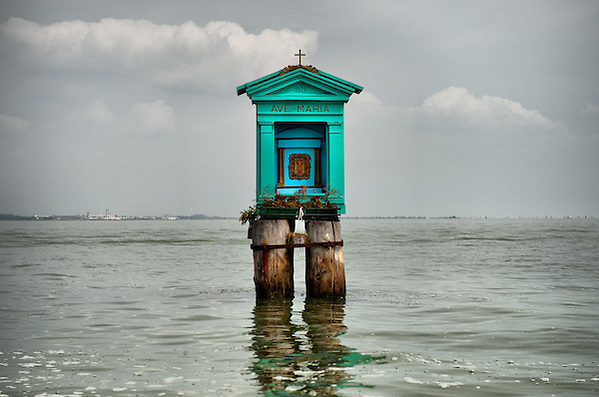 An American-­educated Italian whose previous titles include the well-received “Venetian Affair,” di Robilant admits to an “obsession” with the shadowy figures who emerged from his initial inquiries. The old book turned out to be a travel narrative and map published in Venice in 1558 and written by one Nicolò Zen. 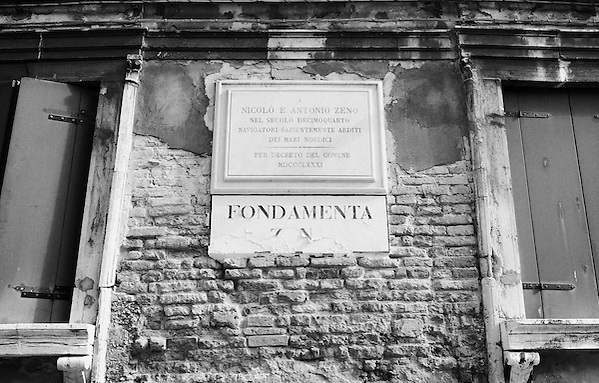 Piecing together archival scraps, di Robilant discovers that Zen was a nobleman (the young Tintoretto painted the family palazzo), a hydraulic engineer and a minor historian. Zen’s hometown, Venice, previously a sea power, was shifting to a land-based economy at the time of his birth in 1515, and had taken control of most of northern Italy. A new doge, Andrea Gritti, was presiding over a period of renewal that stimulated the appetite for knowledge of a world emerging from medieval darkness. Di Robilant is excellent on the contextual background and its relevance to the text under scrutiny. The Galata Mevlevi Music and Sema Ensemble, under the direction of Al Sheik Nail Kesova, brings to audiences around the world the beauty and spirituality of the Sema, the Mevlevi whirling ritual, and the tradition of Mevlevi music. The Whirling Dervishes of Turkey were proclaimed as a Heritage of Humanity by UNESCO in 2005. The "Proclamation of Masterpieces of the Oral and Intangible Heritage of Humanity" Programme was launched by UNESCO in 1997 to raise public awareness about the value of the intangible elements of heritage and the need to safeguard them .For more than 700 years, the Mevlevi brotherhood defined the spiritual life of the Ottoman Empire. Sufism, and especially the Mevlevis, gave birth to well known poets, musicians, theologians and politicians. Travelers to the Orient noticed the Mevlevis mainly because of their “Sema“, the ritual whirling dance. 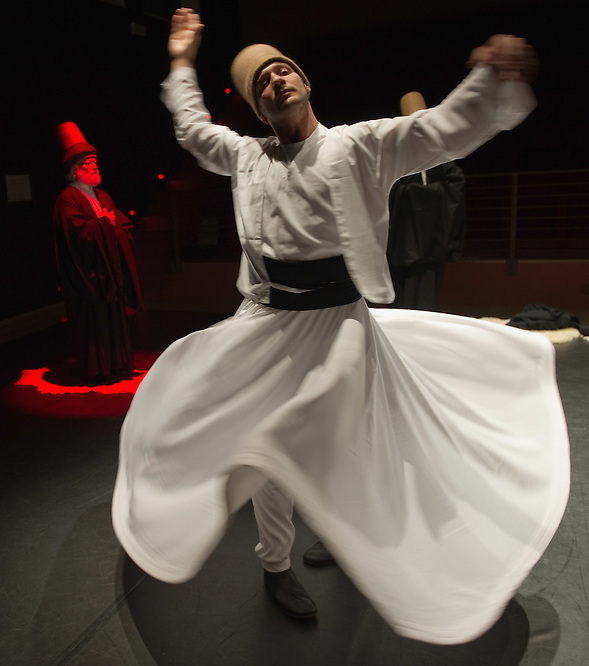 The brotherhood of the Whirling Dervishes became familiar worldwide as the symbol of oriental mysticism. The Galata Mevlevi Music and Sema Ensemble is very much part of the so called avant-garde tradition of the brotherhood. Sheik Nail Kesova has composed a number of liturgical pieces for the group. In collaboration with Asian and western musicians and orchestras, they have created new interpretations of traditional oriental and mystic compositions. Perhaps one of the most important activities of the group has been to continue the tradition of the Mevlevi Order to educate young, talented musicians in the sophisticated art of classical mystic music, in addition to bringing the haunting beauty of the whirling ritual, the Sema, to people throughout the world. While searching for traces of the Templars, I found today in Venice the following inscription at La Maddalena church "Amor Vincit Omnia"